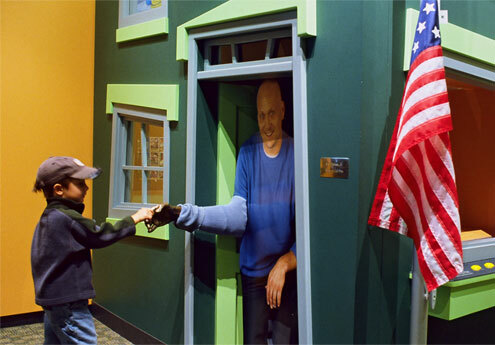 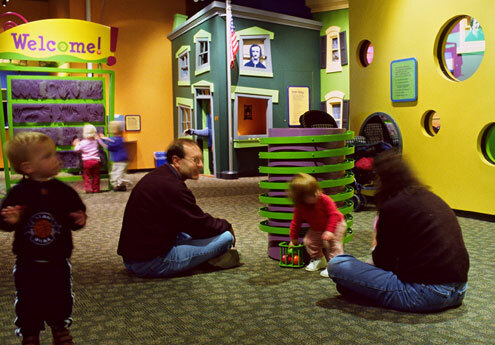 Experiences in the spacious gallery are inspired by science and many of the activities feature content that connects children with iconic Baltimore places and people. For example, there is role-playing on an Inner Harbor fireboat, exploring the ocean floor via submarine, and catching fish off a waterfront dock. 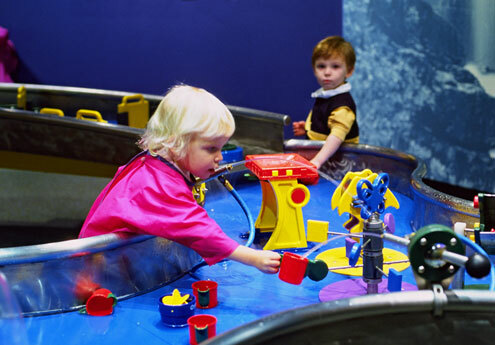 The intrinsic appeal of experimenting with water engages children in a flow experience, while adults take advantage of comfortable seating and custom-designed computer software offering insight into the role of play in early childhood learning. 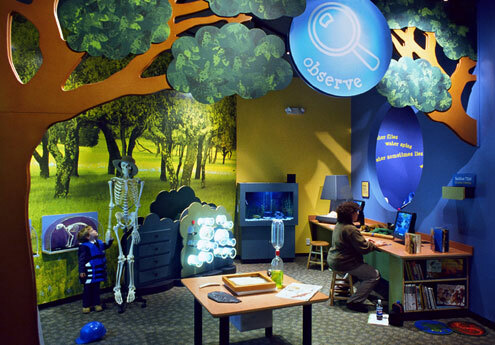 Close observation, puzzles and projects young scientists can make and take home are the hallmark of the nature area. 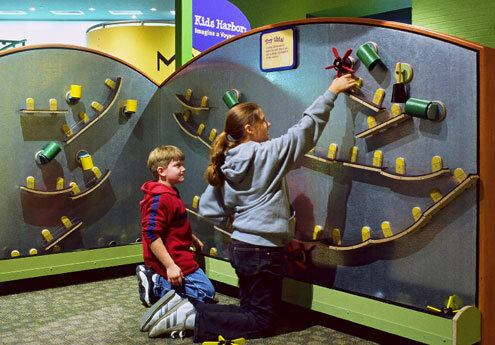 A ‘fish cam’ in the aquarium transmits video to a screen in a play area themed like a submarine.